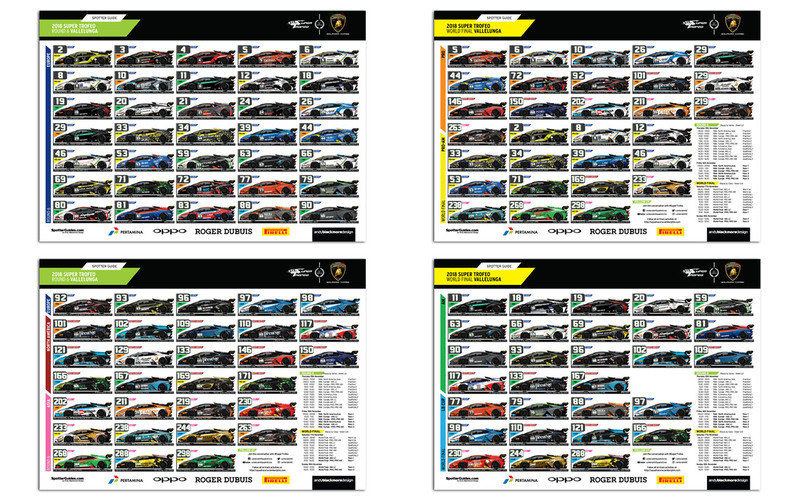 Welcome to the Final Official Spotter Guide for the 2018 Lamborghini Super Trofeo championship fo the 6th round of the European, North American and Asian rounds as well as the World Final, all taking place at Vallelunga this weeend,. The giuide features 65 entries for Round 6 of the respective series with 58 taking part in the final on Sunday. As per 2017, Round six will be run by grouping series. The European entries will take part in two races (further split by class). These entries feature on Sheet 1 and 2 of the guide with the GREEN header. The World finals on Sunday will be raced via Class, so we have Pro and Pro Am racing together followed by the AM and (LC) Lamborghini Cup. These entries feature on Sheet 3 and 4 with the YELLOW header. The guides were commissioned by Lamborghini Squadra Corse and Streaming will be available on their official site. Thanks to Lamborghini for partnering with the European and North American guides this year. 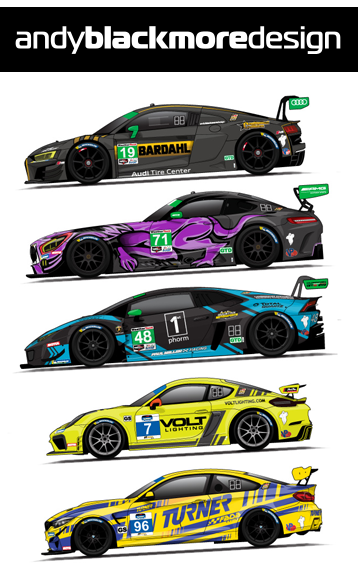 If you get a few seconds, please thank Lamborghini Squadra Corse. Without their support, there would be no guide.